Lucy watches the pathologist leave, then turns to the nameless victim on the table. 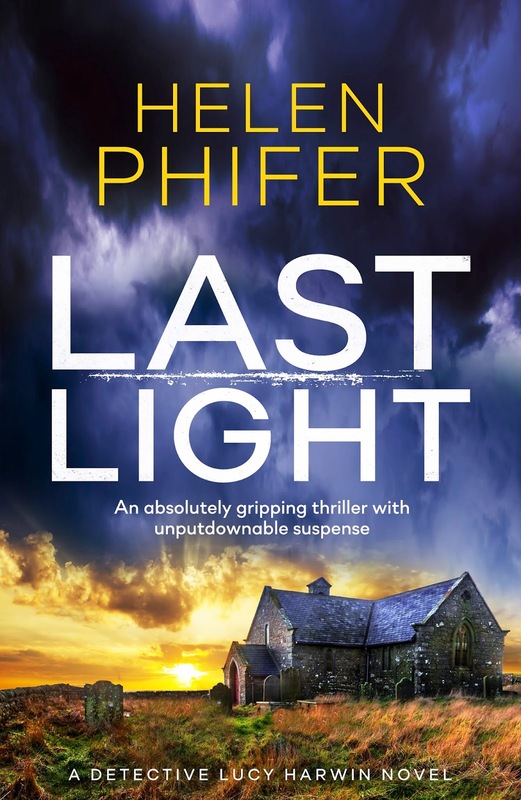 ‘I promise I will catch whoever did this to you,’ she whispers.In charge of a new team, Detective Lucy Harwin is called out to attend the discovery of a woman’s body in an abandoned, crumbling church, and is quickly plunged into a case that will test her leadership skills to the limit. With no leads except the crudely-fashioned crucifix the victim was displayed on, Lucy is at a complete loss. That is, until another body turns up: an elderly woman who devoted her life to the church. 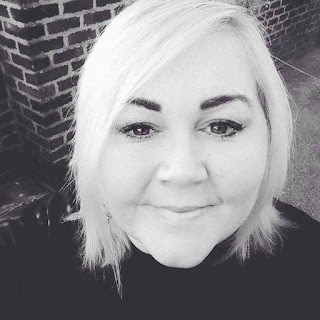 Faced with a killer stalking the streets of her small coastal town, while also throwing herself into work to forget the love of her life, Lucy’s first case is turning into a nightmare. Linking the killer to the church where her own teenage daughter volunteers, it seems the threat is quickly drawing closer to Lucy and those she loves. Can she catch this monster and prevent a tragedy that will tear her world apart? Wow!! What a brilliant read! 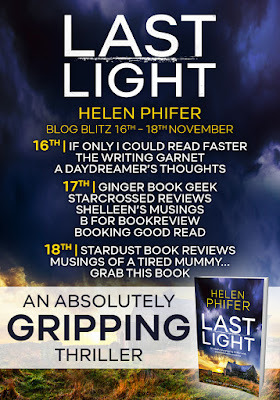 I haven't read any of Helen Phifer's work before but I will be fixing that as soon as possible. 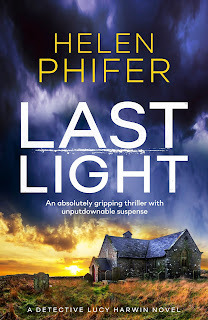 Last Light is a kind of prequel to the series. I haven't read the others but if this story is anything to go by I will be adding them to my reading list. I finished this in just a few hours, Helen's writing just drew me in. I found myself feeling like I was in amongst everything that was going on. The story goes back and forth in time done in such a way that it is easy to keep up with. The chapters about the past tell the story of a troubled childhood, fraught with violence and misery. The present chapters are about the investigation into a string of deeply disturbing murders. I loved the character of Lucy and enjoyed reading about the relationship between her and her daughter. Lucy is a no nonsense type of woman, she is determined to find out who the murderer is and wont let anything get in her way. 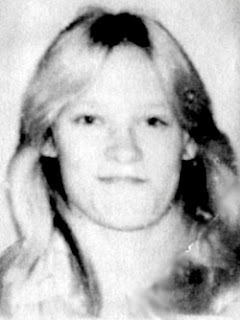 Especially when the investigation starts to be connected to a place that her daughter has links to. If you love crime thrillers this is a must read, page-turner of a story! 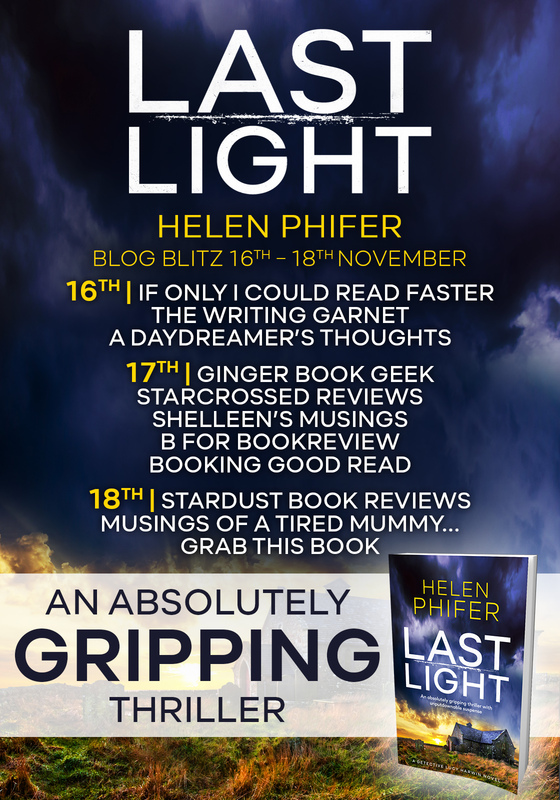 Thank you to Noelle from Bookouture for letting me take part on this blog tour. Find out what others thought by following the rest of tour. Dates and bloggers below.